Donald Macleod explores why, as he approached his 50th birthday, Elgar took up cycling and started work on a major new choral project. As Elgar headed towards his 50th birthday, he took up cycling and started work on a major new choral project. Presented by Donald Macleod. 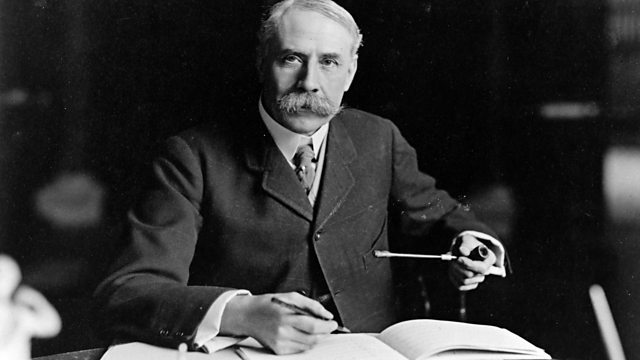 Elgar emerged onto the scene at a time when Britain was still described as 'a land without music'. He played a central role in reviving this country's musical reputation, and his success won him fame, honours and a place at the heart of the cultural establishment. Nevertheless, he cast himself as an outsider throughout his long career. Orchestra: English String Orchestra. Conductor: William Boughton. Singer: Rebecca Evans. Singer: Paul Groves. Singer: Jacques Imbrailo. Singer: David Kempster. Singer: Brindley Sherratt. Choir: Hallé Youth Choir. Choir: Hallé Choir. Orchestra: Hallé. Conductor: Sir Mark Elder. Choir: Finzi Singers. Conductor: Paul Spicer.